Understanding the soul – Death and the experience of death. History has shown a belief of life after death in many civilizations and cultures. While the nature of those afterlife beliefs differs there is a similar theme to most. While we can’t say with certainty what some ancient cultures believed, anthropologist use archaeological evidence of the rituals surrounding death as evidence. In many ancient cultures the dead were buried with personal artifacts indicating some belief in comforting them on the other side. There are text and pictures that have survived through time of ancient civilizations describing the afterlife as a sort of journey. In some cases religions have made death a fearful event based on being judged, after which you either go to heaven or hell. Who wouldn’t be fearful in the prospect of spending your golden years of the afterlife in hell? Death is the greatest fear humans’ face; in fact it is the basis of every other fear, (though I think public speaking ranks up there somewhere.) 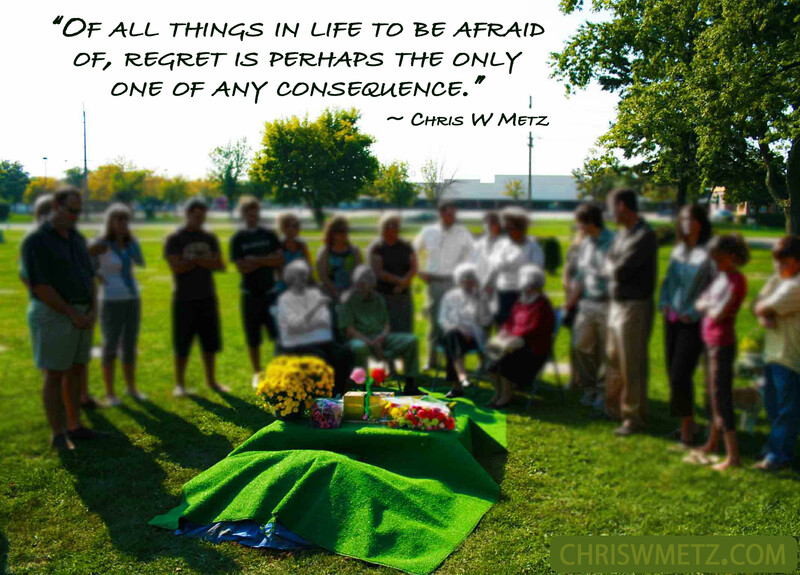 Take any fear in life and keep asking why it is fearful and you will eventually end up at death. It is natural to fear the unknown and death represents one of the biggest unknowns. Due to this fear of death we stay as far away from it as possible. As a society we don’t talk about it or think about it, yet everyone knows they will eventually experience it. We have a sort of amnesia about our own mortality until it is imminent or just happens. It is interesting though as we get to a ripe old age or suffer for a long period, we start to accept it and even welcome the relief it will bring. People have many beliefs about death with the rigidness of religion being a catalyst for two polarizing views. There is the view of an almighty God leveling judgment and punishing us based on our sins or a comforting view that you will be saved based on a belief in Jesus. Then there are those that reject religion all together and believe YOLO – “You only live once,” so enjoy the ride. It may benefit everyone to find a place in between both extremes. Outside of religion and atheism there are many who are spiritually oriented seeking to find their own answers to existence. Interestingly our belief about the afterlife affects our experience in the afterlife. This is not hard to believe if you take into account the conditioning the soul has gone through with so many physical lives. The soul develops a sort of self-correcting mechanism related back to karma. If one lives a selfish life with hatred and anger causing pain to many during life, there is recognition of this fact upon entering the spiritual realm. The soul having realized there is a continuation of life must reconcile such cruel and selfish behaviors during life. The continuation of life shouldn’t be that hard to believe. Science already knows that energy cannot be destroyed or created, it can only change form and we are a living form of energy. Similar to quantum physics just because one doesn’t understand the laws doesn’t mean it doesn’t exist. Quantum physics purports some pretty weird phenomenon that for most of us is unbelievable (if we even know about it,) but that doesn’t mean it doesn’t exist or isn’t true. Some phenomenon of quantum physics are yet unprovable and in this way we must have faith in our mathematics in order to believe what is true. Science is beginning to study the notion of human consciousness as a result of quantum theory and the results are startling, (I should say startling to those who are not spiritual.) Those that are truly spiritual already know on an instinctual level what science is proving through experiments. We are all connected and there is a field of consciousness and energy that connects all things. In recent years there has been much more attention given to both reincarnation and what happens after death. This information comes in the way of near death experiences, ancient beliefs, past life regressions, out of body experiences, astral projections, children recalling past lives, clairvoyants, spiritual mediums, highly enlightened mystics, religious text, etc.. Culture also has a great deal to do with our belief in the afterlife. Like anything in life if one is interested in seeking they will find what they seek. If one is set in their convictions of disbelief then they will experience a sort of veiled and separated consciousness being unable to perceive other aspects of consciousness. Hell, isn’t that what got us into this mess in the first place? So what happens at the point of death? First of all it is important to note we do not feel the actual death of the body. 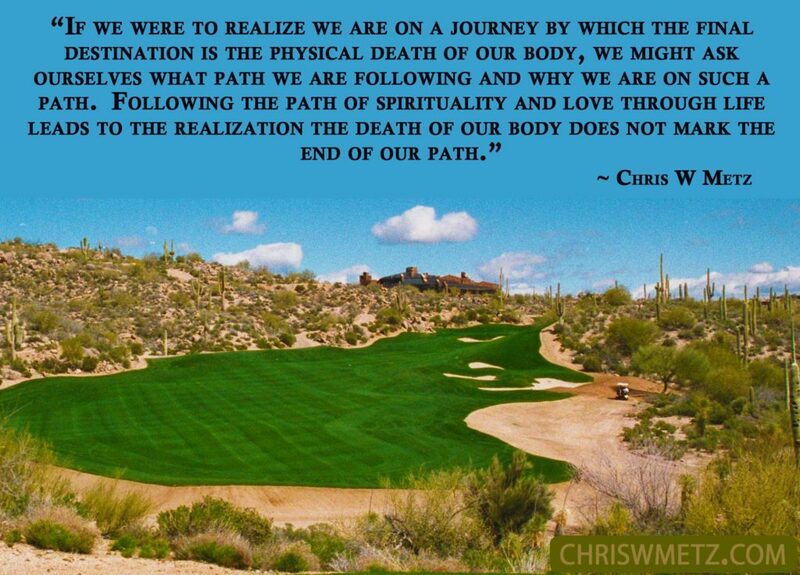 Our soul separates from the body just prior to the death of the body so what we experience then is this separation. As the soul separates from the body, the first sensation is a sense of peace and relief. The ego dies with the body only the mind continues on after death. The mind may still contain some residual memory of the ego but upon death we experience liberation from the ego. Often one looks back upon the body lying there with no attachment or emotion for the body itself. Upon recognizing their dead body there is the realization they are still conscious, they are still very much alive. What happens after this depends on a great many factors, namely the state of advancement of the soul and the state of mind just prior to death. If death occurred with loved ones grieving at their bedside the soul may try to comfort their loved ones by trying to convey to them they’re fine, they’re still alive. There are souls that will stick around for their entire funeral or longer. During this time, every thought is known by the soul, the true feelings people had for you during your human life are known. If one does not believe in life after death, they may experience a very gentle welcoming into their new existence. This occurs because their disbelief must be gradually overturned. The more advanced souls may recognize the situation of their death as just another experience and move on quickly. Some souls unable to come to terms with death and/or so attached to physical life, may inhabit this plane of existence for some time before receiving help and guidance directing them to their next stop. Invariably we are met with either our guide, a loved one, or many souls from past and present lives. Where we go after this again depends on the condition or consciousness of the soul, but ultimately we end up in one of many realms. There is much in the way of corroboration on the notion of astral realms (i.e. spiritual realms.) These have come from enlightened beings, near-death experiences, channeling, psychics, historical text and past life and between life regression therapy. I know this sounds way out there to the rational mind and is probably beyond comprehension for those who don’t believe in the soul to begin with. Let me however try to give you a rational explanation of this concept before diving deeper into it. If you recall early on, the creator foresaw the chaos that would ensue in the spiritual world with every point of consciousness doing whatever pleased them. At the highest level of companionship or co-creation, (the highest level of vibration,) there must be absolute unity and harmony and this describes the highest astral realms. It would make sense in order to prevent chaos in the spiritual realms to establish barriers or levels for each developing soul (consciousness.) The mere fact that souls became entangled in the physical world meant they would have a long journey back to their original state. Perhaps the only souls that bypassed this fall into selfish individualism were those that early on relinquished much of their free will and desire for individual control. A quick note on this concept of soul progression. Perhaps the creator ideally wanted souls that didn’t have to suffer through this great fall into individualism, selfishness and subsequent pain. There may have been two very distinct ways for souls to get their “education.” One would have been a very long schooling process of obedience, watching, and learning by observing the mistakes of others. The other being the school of hard knocks, (i.e. karma.) The earthly analogy might be the person who goes to college for 8-12 years and graduates with a doctorate degree. If they are put into the position of running a company they may have the conceptual knowledge and various models of theory, but lack practical experience. In fact their learned knowledge may become an impediment to being successful. The other side of the coin is the person who spends a good portion of their career working in various positions and is eventually promoted to running the same company. This person will have an intimate knowledge of all the various aspects of the business and the subtle nuances of the people, departments, strengths and weaknesses. Both can be successful or one or both could fail. In the end it is the depth of experience that shapes a person and allows them to relate to their world. So perhaps this “fall” of souls into the realm of their own selfishness ultimately makes for a better companion having “been there, done that.” Of course since all knowledge is shared at the higher realms, maybe we’re just the troublemakers who had to learn the hard way. Either way you look at it, it’s all good. The point is to be consciously aware of all of it. Oops, this post is running a little long, I’ll have to save the astral (spiritual realms) for the next post. What are your own beliefs about death? Where do you think you will go after death? What do you think you will experience upon death? Do you feel you may have a sort of veiled consciousness regarding death? This entry was posted in Calming The Mind Within, The Soul and tagged beliefs, death, soul. Bookmark the permalink.